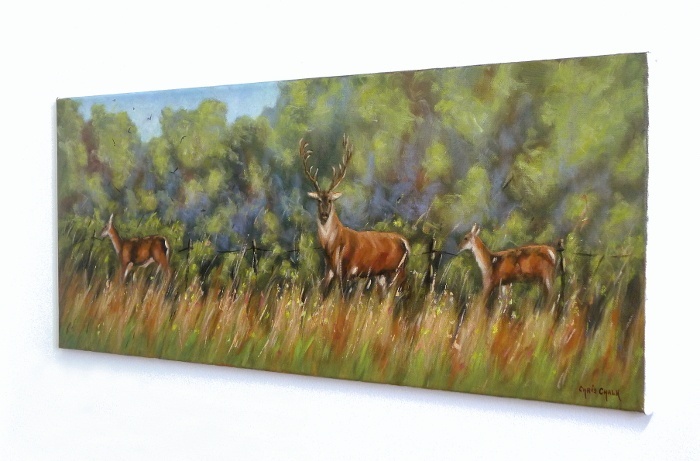 Original painting of Red Deer, a magnificent stag and two hinds, in Autumn sunlight. These are local deer which I was very lucky and privileged to watch for a few minutes at our local wildlife center. They knew I was there, and were watching me in return. It was a beautiful moment, then they were gone. 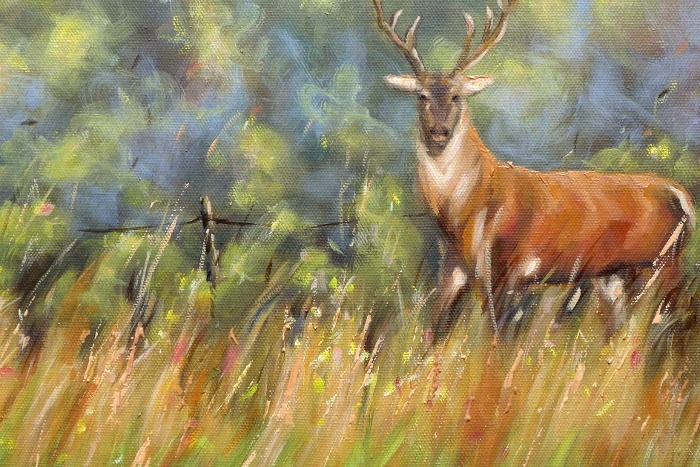 Painted on Loxley Gold stretched canvas, 30 inch x 12 inch x 1/3 inch - This painting can be framed, or hung un-framed as shown.